Fun!!  both from a compositional and recording standpoint? Seems like theres less of a Latin influence this time with a more straight ahead kind of sound this time around. Bruce Lamb: I would like to tell you this was really thought out, but it wasnt. 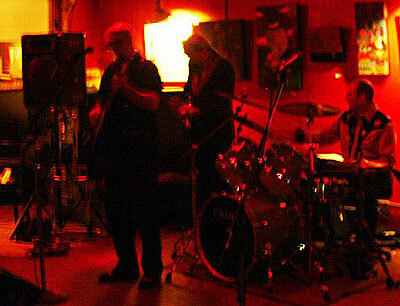 Five of the tracks were done by Johnny, Chad and myself with me overdubbing the bass. The nine tracks with Denise Brumfield playing bass were cut in one session with about six hours of rehearsal! The remaining two tracks with Les on bass came off of our very first CD, which is out of print, and we remixed them using ProTools. I have a list of Latin stuff, both originals and covers that I would like to record but, there is only so much room on a CD. Maybe next time! 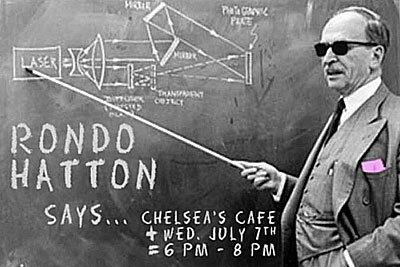 mwe3: How has the Rondo Hatton lineup changed for Breaking The Sound Barrier and tell us how your producer Bill Boelens helped shaped the sound in the studio this time? I guess your drummer Joe left the band for this album and Les LeBlanc only plays on one track here? 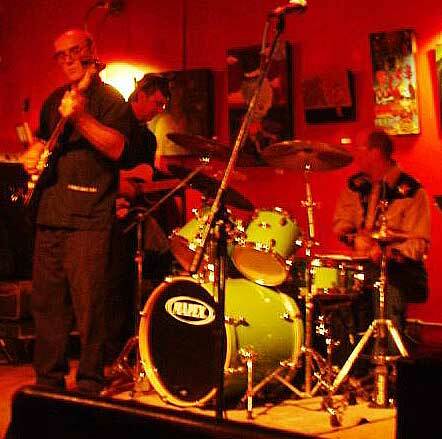 In addition to the core Rondo Hatton lineup, with fellow guitarist Johnny Rossetti, what did the guest artists bring to the CD this time. Also I noticed that the CD was devoted to the memory of Bryan Evans. Can you say something about Bryan? thats a keeper or do it again. Plus, he has been a close friend for over thirty years! Regarding Joe and Les, they just dont want to record anymore. Chad Solomon was the original drummer with us and he is back on board. Denise Brumfield had played with Johnny and myself on different projects and she was an obvious choice to fill in. The bass line on Riding The Coffin is her idea and we all thought it was great. If I wanted something specific, Id tell her and she would knock it out. 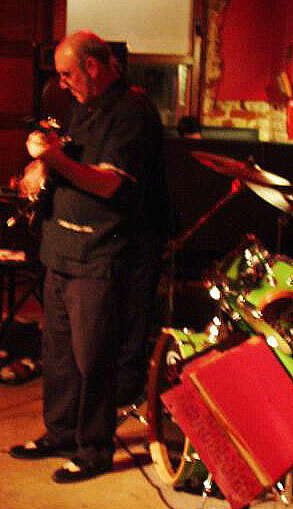 Bryan Evans was a very dear friend and fellow musician who passed away very, very suddenly. Dedicating the CD to his memory was the least I could do. I miss him very much. mwe3: What was your guitar setup like for the Sound Barrier CD? Are there any new developments in the guitar world for you these days? Are you still playing your Japanese Jazzmaster reissue? I saw Fitzwell guitars gets a credit in the CD liner notes. Do you and Johnny follow all the trends in new guitars and gear? these things are great, then Im interested. Otherwise, I dont really pay much attention. 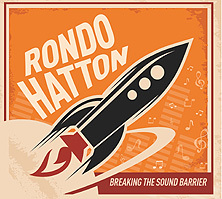 mwe3: Most of the songs on Breaking The Sound Barrier are Rondo originals. Are you finding your way more as a composer these days? You have said in the past that you were influenced by a lot of R&B guitarists like Bill Doggett, Freddy King and Duke Robillard, so would you say the Sound Barrier is more of a true Rondo Hatton album without some high profile covers? Bruce Lamb: I dont know if Im finding my way. Most of the time I feel lost in the woods! I do think this is our best sounding CD and I am very happy with the performances. I also think a couple of the songs are some of the best Ive written. But, as I said earlier, the approach to this CD was no different than the others. I feel the rhythm section is what gives this CD the big push. mwe3: Is Cerveza On The Mesa an original or a cover as I saw there were credits for that track and also for track 13, Surf Party. 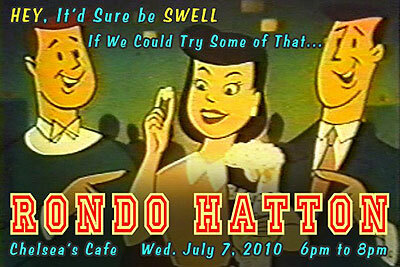 Did you give those tracks the Rondo Hatton edge and were those tracks kind of long lost songs or other favorites of yours? Another cover here is Socorro written by someone called Bulinsky that sounds very Buddy Holly influenced. Youre a walking, talking music encyclopedia Bruce! Frank Blandino of The Fathoms, Surf Party is by The Astronauts and Socorro is by Bill Bulinsky of The Greaseballs. I tried to play them as close to the originals as I could. mwe3: After listening to Breaking The Sound Barrier it seems clear that Rondo Hatton doesnt differentiate between different regions in the world when it comes to guitar instrumental music. Do you set out to cover as many of those regions as possible on your albums or is there a distinctive Rondo sound you try to keep constant throughout your albums? Bruce Lamb: Again, Id like to tell you that it is all thought out, but it isnt. We just play stuff we like. If it comes from the Congo or Brasil or California, who cares! in the Gulf Coast area? I saw the credit for Pipeline mag in the liner notes for the Sound Barrier CD. Are you surprised that the genre isnt more popular and what ways can the guitar instrumental genre increase its standing in the world? I could care less! People from New Orleans have always treated those of us from Baton Rouge like we are a bunch of stump jumping, peckerwood rednecks, so I will never care what they think. I think if the mass media force fed the world instro music it would be more popular. You know, most people seem to want somebody else to tell them what is cool. mwe3: Zero Hour is a great way to kick off the Sound Barrier CD. Would you say that track is a very Ventures type track that kind of harks back to the early 1960s? Is 1960 - 1963 your favorite time in music history? Bruce Lamb: Thanks for saying that. I wasnt going for the Ventures so much as I wanted to do a driving surf type number. If you think it sounds Ventures like, Im really flattered. The early 1960s were cool, but no more than the late 40s through 50s when all this great music was brand new. I love it all! mwe3: Does track 2, Blast Off continue the Sci-fi kind of vibe of the Sound Barrier CD? Is science fiction the most popular realm of instro guitar music? Funny how instro guitar music rose to prominence during the early space race days of the early 1960s. As a matter of fact, Blast Off almost sounds like Son Of Telstar at the end of the track! Bruce Lamb: I have noticed that a lot of the younger instro groups are into monsters, zombies and other scary stuff. I guess we were lucky that instro and the space program happened at the same time. It made it easy! You must be referring to the rocket noise at the end of the song. You know, we always work at least one sound effect into each CD. Fun!! album? I remember you saying that Big Mack Attack was a tribute to Lonnie Mack, so what other guitar tributes might be hidden on Sound Barrier? mwe3: Juliana is another beautiful original track on the Sound Barrier CD. It has that early 1960s kind of vibe. Was that song written for someone in particular? Bruce Lamb: I just wanted to give that song a title using a womans name. It was originally called Adrianna but Chad asked if we could name it after his dentist!! So, it became Juliana. Simple as that! mwe3: Clearly, youre still influenced by big sounding western music sounds as O.K. Boys, Lets Get Western indicates. Who are your favorite composers of that genre? The keyboards on that track sound like horns and strings in all the right places. You mentioned movies like Hang Em High among your influences, what about those composers back then? Bruce Lamb: I dont really know anything about those composers. I couldnt name one! I have to tell you, there are no keyboards on this track. Those are real strings, played by one super talented violinist, Christie Gandy, multi-tracked over and over again. It took her over 3 hours to stack all those tracks! She is also one beautiful and sweet lady! Now that I got that straight, I like spaghetti western stuff because it has twangy guitar. mwe3: Track 8 on Sound Barrier, Untitled Pop Anthem is a great track. Why call it Untitled? Its one of your best songs and it covers so much musical ground too. Bruce Lamb: Again, thank you for the compliment. Are you ready for this? I couldnt think of a title, Im serious. mwe3: Did you commission the artwork specifically for the Sound Barrier album? I saw album art was designed by a local Baton Rouge company. I guess you were going for a futuristic vibe with the cover art. I remember all those great Ventures album covers as benchmarks when everything and anything was possible. Bruce Lamb: I gave the artist my scribbled version of the art work and told her, Have fun. She did a great job. 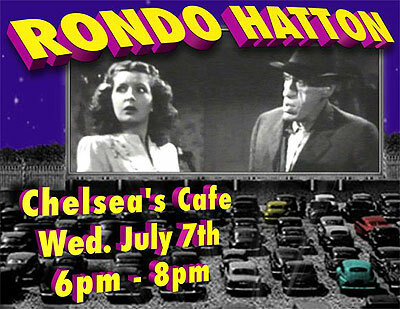 mwe3: Last time around, you spoke about bringing Rondo Hatton overseas and also finding an agent. How is that going these days? Now that the world has become much smaller thanks to the internet, it doesnt make a lot of sense that traveling has become kind of a long lost art form at least for some. 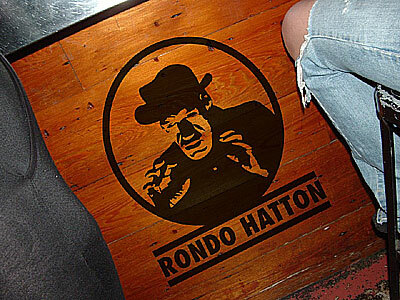 How far down the line are you as far as what you spoke about a couple years back, regarding Rondo Hatton concept albums like your blues and acoustic Latin albums, and even the solo album you were speaking of? 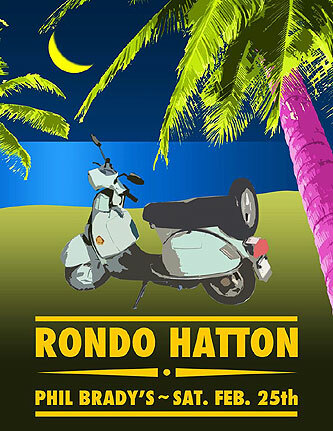 It would be great to get some additional recognition for all the great music that Rondo Hatton has released these past 5 years. Bruce Lamb: Well, as I said earlier, this new CD is getting some attention here in the U.S.. Sales have been pretty good via the internet. But we cant buy a job in our own home town. I have made contact with some of the other instro scenes like Atlanta (Southern Surf Stomp), the Instro Summit in North Carolina, and NESMA up in New England and they have all been very encouraging. So, it looks like we may get out on the road later this year. The concept albums will happen whenever I can raise the money! The solo album is next on the agenda, maybe next year. Robert, I want to thank you for your continued support and interest in what we are doing. It makes us proud and happy to know that the members of the music press like our product. Well see you down the road. Pray for surf!